As most of you probably know, Spotify released a new version of its client - 0.4.3 (more info, here) which now includes Facebook and local files support (among other things). 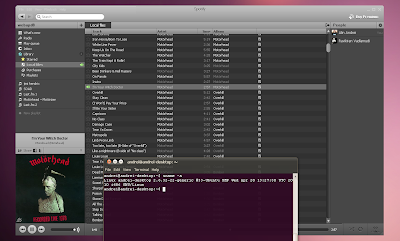 But using the Windows Spotify client under Ubuntu using Wine, you won't be able to take advantage of these 2 new features out of the box. Both the Facebook connect and local files won't work. Here is a work-around for both of these issues. a) go to: http://www.spotify.com/ and log in. b) go to: https://www.spotify.com/en/account/social/facebook/. Click the "Allow access" button and that is it! Then configure Wine to emulate Windows XP: Applications > Wine > Configure Wine, on the Applications tab, under "Windows version" select "Windows XP". I had "Windows Vista" set and for some reason it didn't work (Spotify probably knows it's bad =)). Open Wine Config (Applications > Wine > Configure Wine) and ho to the Libraries tab. Under "New override", enter "winemp3.acm" and click Add. Important note: you'll have to use this work-around (either solution 1 or 2) every time you upgrade WINE! 3. 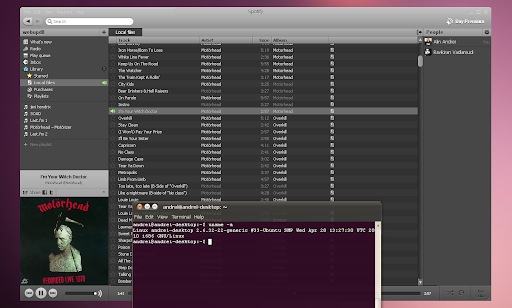 Open Spotify links in your default Linux browser.